It has always been very important to both management and staff at Cresta Plastics that as our business grew we were mindful of giving back to our local community. Over the past few years ‘giving back’ has included donating our time and expertise to small business and start ups to help them grow they business, sponsoring young sports people like Royce Rowe of Rowe Racing, Trinity College Old Scholars Netball Team, Pooraka Football Club, Adrian Cottrell– local motocross rider and Nadia our sponsor daughter in Indonesia. Recently we discovered that even closer to home some of our local community members were struggling. 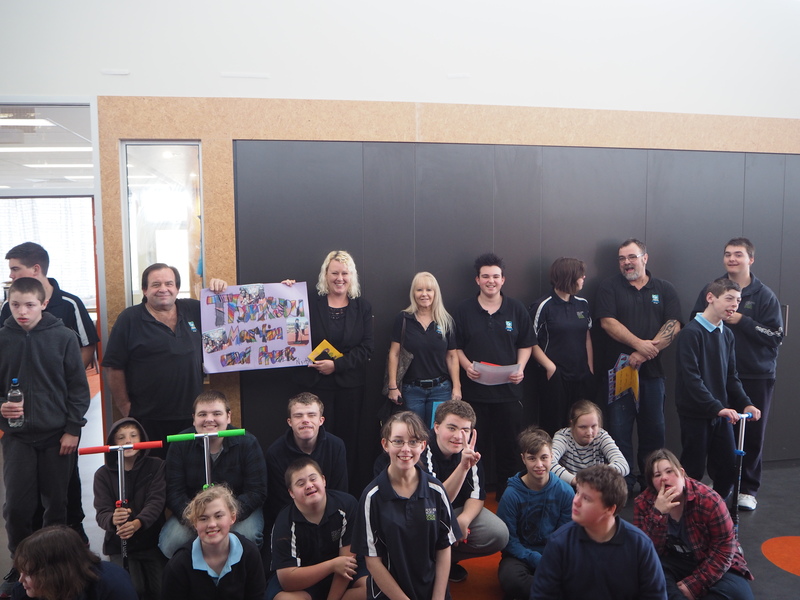 Adelaide North Primary is a new school based in Munno Para and specialises in special education for primary and secondary school children who have physical and intellectual disabilities. The new school is fantastic however limitations on the budget has meant there is little money left over to purchase play equipment. Like all children, play is essential to the learning students at Adelaide North Special School. It was with great pride that we were able to donate some scooters to the students and we were even more delighted that we got to spend some time with the staff and students at the school. We would love to encourage more businesses to consider making a donation to the school to ensure that these wonderful kids and staff have all the equipment they need to ensure a fantastic education and the opportunity to make many wonderful memories. Our heartfelt gratitude goes out to the staff and students of Adelaide North Primary School for our warm welcome and the opportunity to learn more about the wonderful work you do everyday. email: Byron Stuut or phone 8254 2554. We would like to thank our customers whose repeat custom makes it possible for us to support our local community. Without the support of our customers our ability to give back to the community would be non existent – Martin, Frank and Narelle.